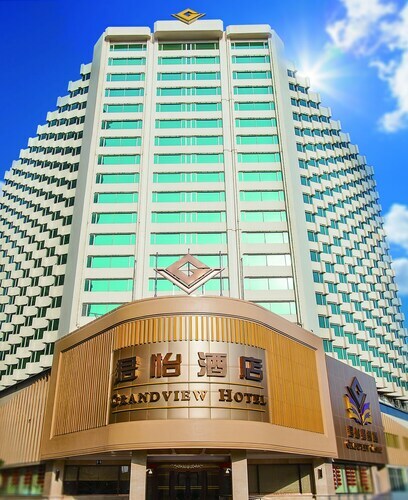 Located next to Taipa Central Park and Flower City Garden, Grandview Hotel offers guests a quiet base close to exciting entertainment options. The hotel casino and nearby Macau Jockey Club capture the excitement of downtown Taipa, while the parks offer guests a serene escape. 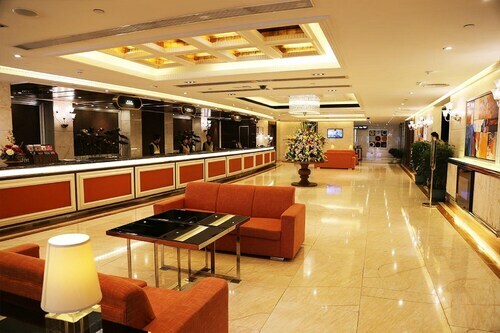 This family-friendly Taipa hotel is located near the airport, within 1 mi (2 km) of Four Faces Buddha Shrine and Cotai Strip. Venetian Macao Casino and City of Dreams are also within 2 mi (3 km). This family-friendly Cotai hotel is located near the airport, within a 10-minute walk of Museum of Taipa and Coloane History and Cotai Strip. Venetian Macao Casino and City of Dreams are also within 1 mi (2 km). This family-friendly Cotai hotel is located on the Strip, within a 15-minute walk of The Grand Canal Shoppes and Cotai Arena. Cotai Strip is 0.8 mi (1.3 km) away. 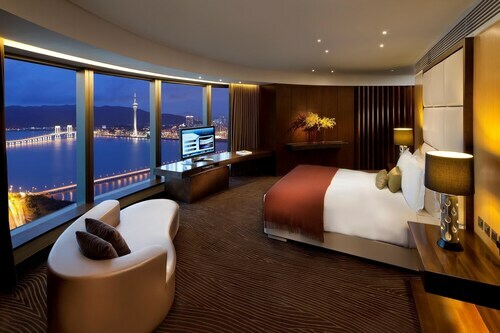 Located in Xiangzhou, this luxury hotel is within a 15-minute walk of Macau Olympic Complex (Macau Stadium) and Cotai Strip. Venetian Macao Casino and City of Dreams are also within 2 mi (3 km). Situated in Taipa, this luxury hotel is within 2 mi (3 km) of Flower City Garden, Venetian Macao Casino, and City of Dreams. Cotai Strip and Senado Square are also within 3 mi (5 km). 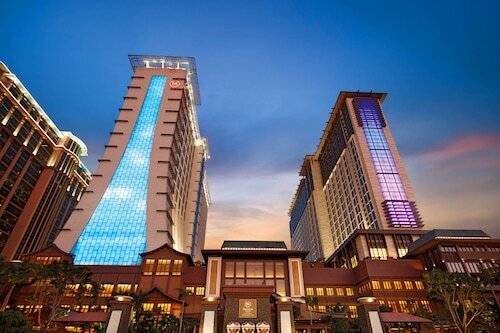 Situated in Taipa, this resort is within 2 mi (3 km) of Flower City Garden, Venetian Macao Casino, and City of Dreams. Cotai Strip and Senado Square are also within 3 mi (5 km). 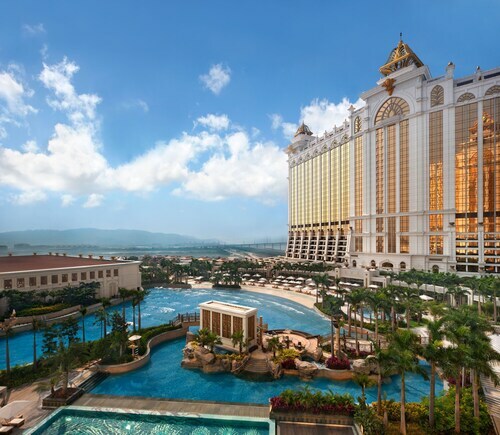 This family-friendly Cotai hotel is located near the airport, within 1 mi (2 km) of Museum of Taipa and Coloane History, Venetian Macao Casino, and Cotai Strip. City of Dreams is 1.4 mi (2.3 km) away.